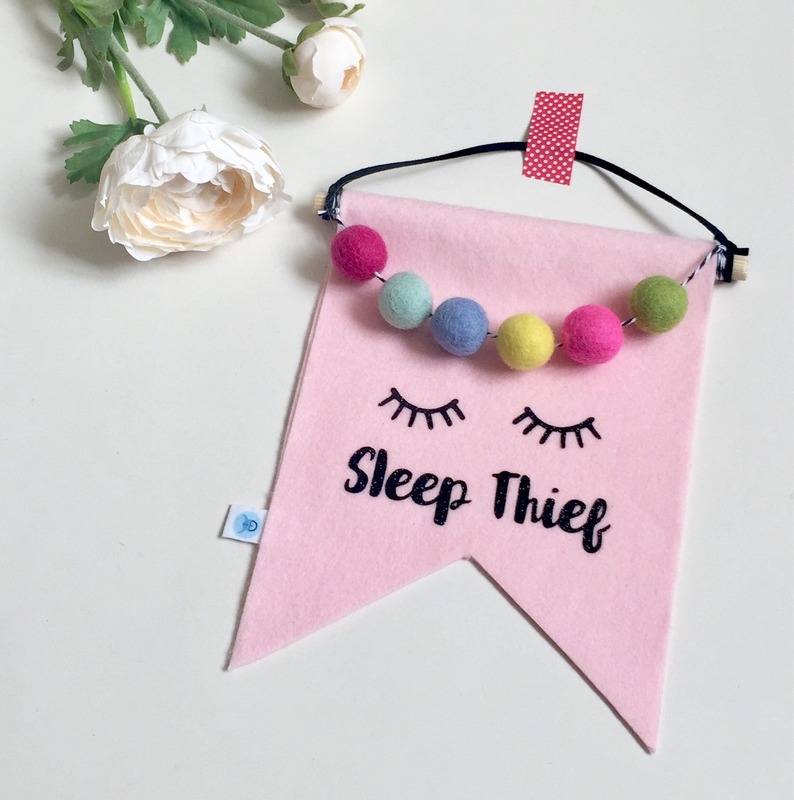 Do you have a little sleep thief in your life or do you know someone who does? 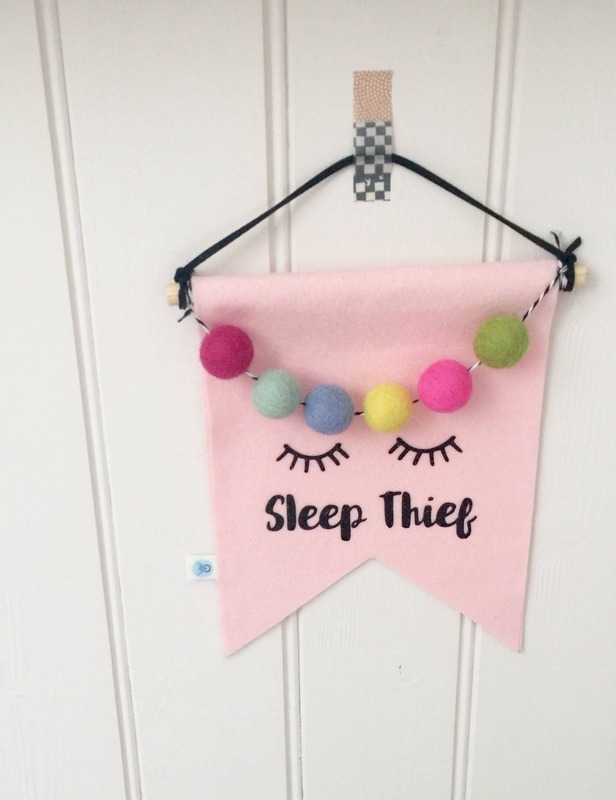 This adorable felt flag is made of durable and high quality light pink polyester felt, black glitter HTV (heat transfer vinyl) and wool felt balls in bright rainbow colours. The glitter effect on the lettering is very fine and sparkles subtly in the day light. 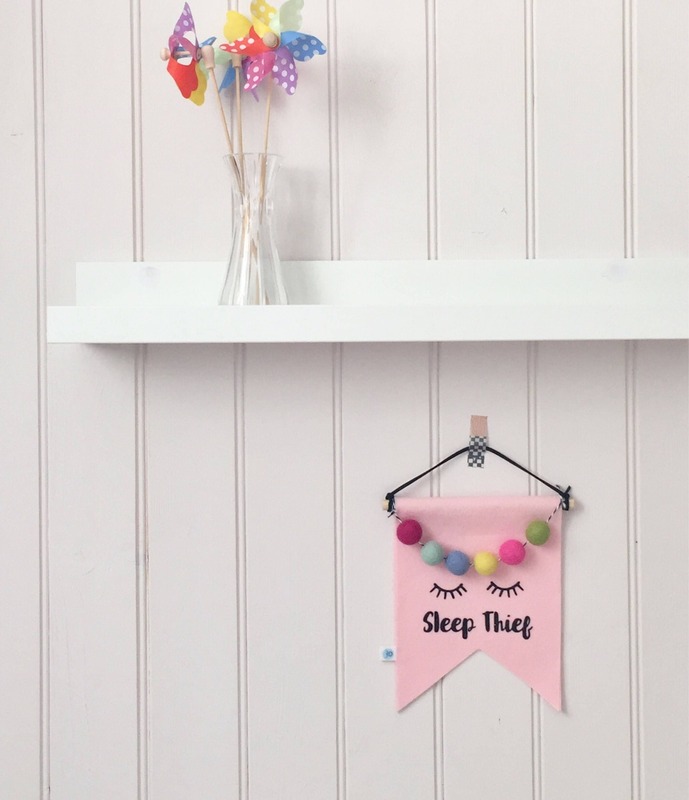 The felt flag comes with a wooden dowel and black faux-suede string for easy hanging, you just need a suitable spot where it can be freely admired. 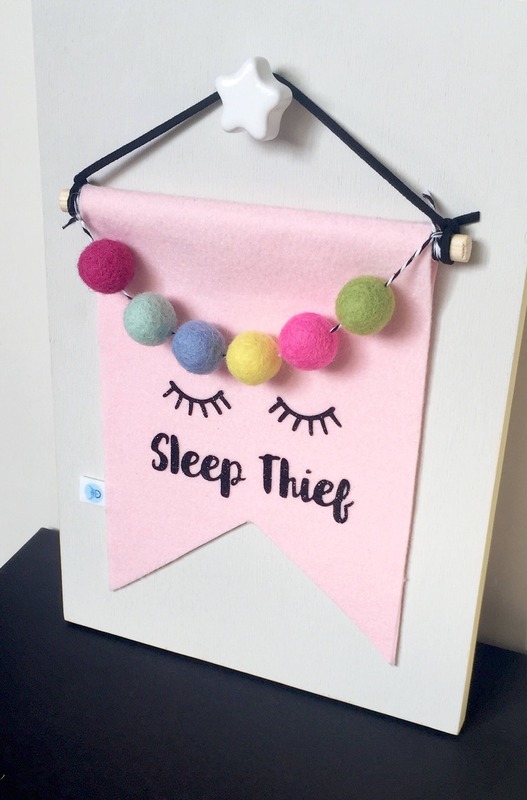 This pom pom adorned nursery wall hanging would make a fabulous new mom gift but you might end up keeping it to yourself! 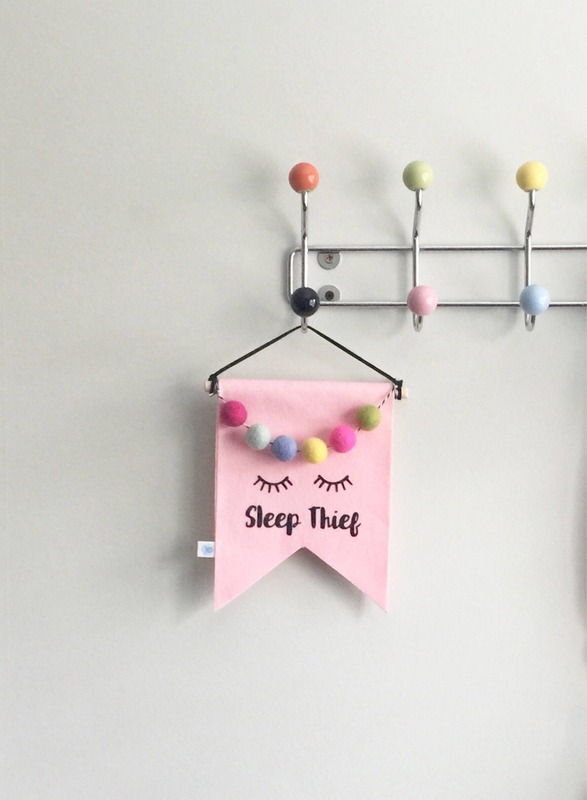 Size: the wall flag is 15cm wide and 20cm long (excluding the string). That's 5.9 x 8.2 inches respectively. All measurements are approximates. International orders will be by Royal Mail standard service. Please note that whilst Royal Mail estimates delivery time for international orders approx 7-10 days, items can be held in customs which can significantly delay the delivery. IMPORTANT: This is not a toy and therefore must be kept out of reach of babies and small children. Any props used in the pictures aren't included. This listing is for a one felt banner only.